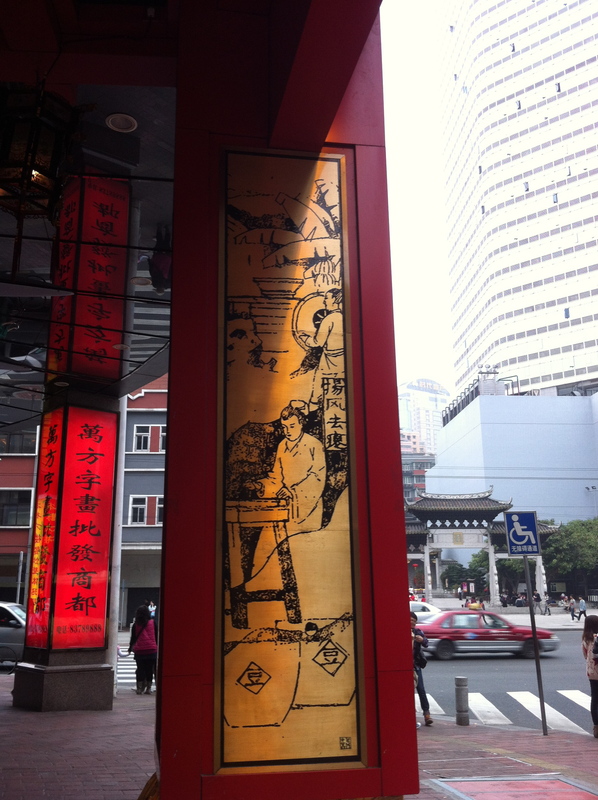 Today Zhi Mei Zhai not only has its own soy sauce factory but numerous shops around the city, but has maintained its very first shop where the business was first founded in 1600, in all its traditional glory. Thanks for the unique Cantonese street architecture of overhanging arcades to provide shelter from the sun and rain, the pillars outside the shop have been decorated with etchings in traditional style, showing how soy sauce was made, once upon a time. I have translated the text on the etchings so I can share them with you.